The popularity of Disney/Pixar’s animated film Coco has brought a newfound appreciation for the indigenous Mexican celebration of Día de los Muertos. While this November holiday has been getting attention, there are plenty of other Mexican fiestas and rituals worth talking about. 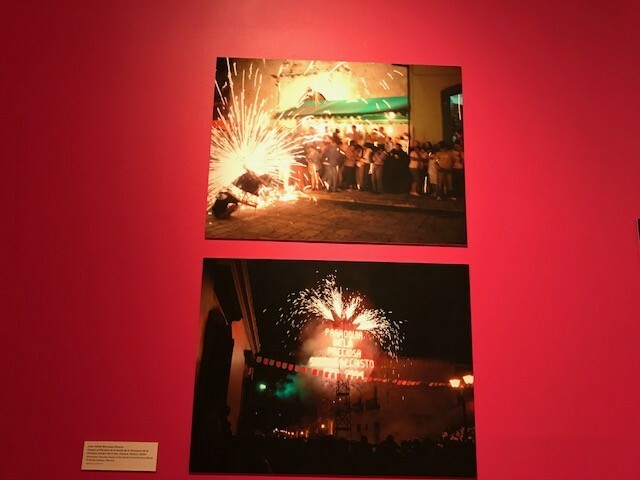 And you can learn all about them at ¡Viva la Fiesta!, an exhibition now on view at UC Berkeley's Bancroft Library. This is the first solo-curated exhibit of José Adrián Barragán-Álvarez, who has been the curator of Latin Americana at the Bancroft Library for roughly a year. The exhibit is also personal to him — his family is from the Mexican state of Michoacán. The Express recently caught up with Barragán-Álvarez during a visit to the exhibit, which is rich in historical details. As a trained historian, Barragán-Álvarez said it was important to make the community aware of the vast Latin Americana collection housed in the Bancroft Library. The theme around ¡Viva la Fiesta! revolves around ritual elements and indigenous traditions celebrated by Mexicans around the world. Calendars are a staple in most Mexican households. The earliest Mexican calendars date back to the 1700s, said Barragán-Álvarez. “Calendars have ruled from naming patterns to agricultural cycles,” he said. One of the most impressive piece from the calendars collection is the Almanaque Imperial (Imperial Almanac), a book that originally belonged to Emperor Maximillian I. Another section of the exhibit explores how Mexican people like to have fun. The perception of some is that Mexicans just love to engage in massive parties with numerous family members. While partly right, there are other forms of entertainment — attending a bullfight remains a favorite activity in Mexico, despite how gruesome it is. Fireworks, and what many call “toritos,” — elaborate structures entirely made out of fireworks — are a crucial component of fiestas. The game of loteria (similar to bingo) is a game played by Mexican families everywhere. The exhibit has a rare version of this game by Mexican political printmaker and engraver José Guadalupe Posada. Posada is famous worldwide for his 1910 cartoon illustration of La Catrina, but what many do not know, and will discover at the ¡Viva la Fiesta! 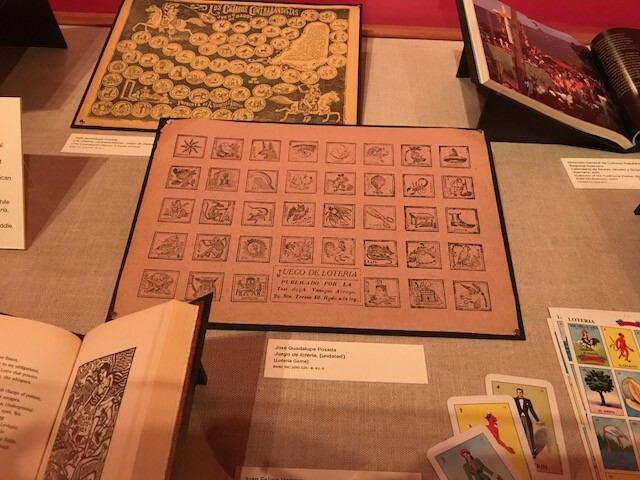 exhibit is how his drawings were used in a number of books from 1900s. Items related to religious celebrations take up a large percentage of the exhibit, from baptismal and marriage records to Christmas texts. There are also old books about the devotion Catholics have toward saints and the Marian Catholic festivities. The Virgin of Guadalupe is regarded as the Mary of the Americas, although every region in Mexico has its own version. 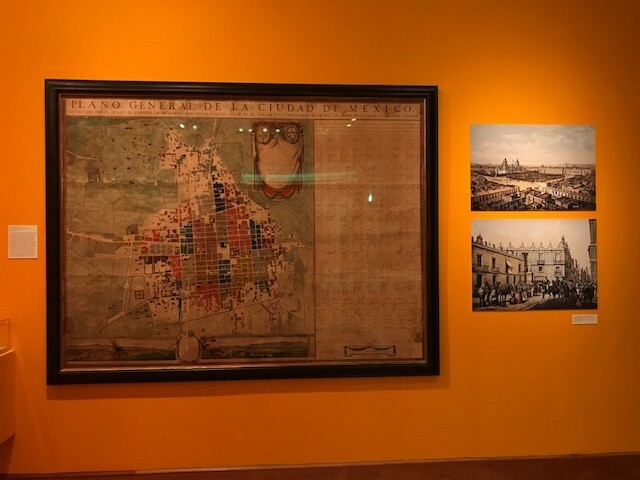 There is a portion dedicated to Día de los Muertos, and a Patriotic section as well, with the most astonishing piece — what was regarded as a simple government record, an 1800s map of Mexico City — stretching seven and a half feet wide and five feet tall. 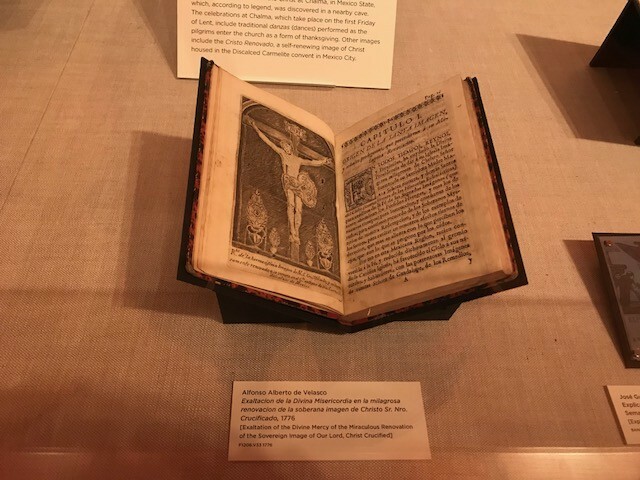 Every section of the exhibit is a chance to learn something new about these ancient traditions, which will likely be unfamiliar to those who are not of Mexican descent. The walls in the room are painted in vibrant colors, while traditional Mexican music plays in the background. Expect Barragán-Álvarez to curate other exhibits. What is shown at ¡Viva la Fiesta! reflects a tiny fraction of the Latin Americana collection. “I hope this exhibit allows people to think about what’s here, and come to visit us and get excited to see what we have,” he concluded. ¡Viva la Fiesta! at The Bancroft Library Gallery runs through February 1, 2018; open Monday through Friday, 10 a.m. to 4 p.m.